Tehran has rejected access to several individuals and nuclear sites that are listed by the Western states in relation to the nuclear program deal, according to local media. 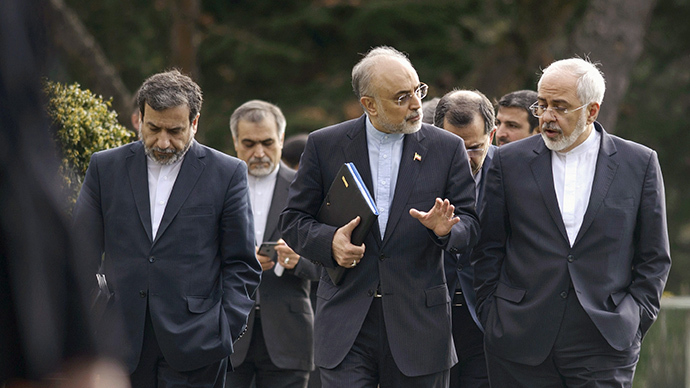 Iran’s Deputy FM Seyed Abbas Araghchi said that the list presented by the P5+1 group, engaged in diplomatic efforts to resolve the tensions regarding Tehran’s nuclear enrichment program, included a number of individuals and sites that the International Atomic Energy Agency (IAEA) would have managed access to. “That idea was proposed, but rejected in Tehran. We are working on alternative ideas and we have clearly told the other side about it,” he said as quoted by the IRNA state news agency. He added that the list was presented to the Iranian team as a solution to resolve the so-called possible military dimensions (PMD) of Tehran’s nuclear program investigated by the IAEA as part of a framework for cooperation with Iran. “The PMD is an issue related to the past and there are a series of questions, which have still remained unresolved and ambiguous, for solving which various solutions have thus far been presented,” he said. The Western side has been properly informed of Supreme Leader Ayatollah Ali Khamenei’s “very serious and absolute orders” regarding the lack of access to individuals for interviews and inspections of the Iranian military centers which are “quite nonnegotiable for the Iranian side”, IRNA cited him as saying. Araghchi also stressed that the there is another issue that has not been fully resolved concerning sanctions imposed on Iran. “If an agreement is reached the other side will have to take steps on termination of sanctions which will define our actions as well. Currently we are discussing how to synchronize this process,” he concluded. Meanwhile, a confidential, quarterly report issued by the IAEA and obtained by Reuters said Iran had provided some information about one of two open items in the UN nuclear watchdog’s investigation. "The Agency and Iran agreed to continue the dialogue on these practical measures and to meet again in the near future," said the report. Iran and international powers reached solutions on key parameters of Tehran’s nuclear program following talks in Switzerland in April. The deal has created the basis of a future comprehensive nuclear agreement which is to be concluded by a June 30 deadline. Among the conditions of the preliminary agreement Tehran was obliged to refrain from creating nuclear weapons while the IAEA was to monitor it. The nuclear agency is working with Iran to implement a series of transparency measures to verify the peaceful nature of Tehran’s nuclear program. Iran has been accused on numerous occasions by the West of trying to develop a nuclear weapon, a charge that Tehran has repeatedly denied. The country says its nuclear program is purely for peaceful purposes. The issue of Iran’s alleged nuclear weapons activities came up shortly after the 2002 public disclosures of Iran's undeclared nuclear activities. The IAEA stated that elements of Iran's nuclear program could be used for military purposes, however detailed basis for this statement was not given until May 2008 and November 2011. The group of countries known as P5+1 – the US, Russia, China, Britain, France and Germany – have been trying hammer out an accord with Iran to restrict the country’s nuclear program in return for a lifting the economic blockade imposed by the UN.